The Bose QuietComfort 35 IIs are the best wireless travel headphones available. We have absolutely no doubt about this. After spending a month with them, including two international trips, we concluded that, in this regard, they are simply unbeatable. In this review, we break down the sound, design, comfort and fit, packaging and accessories, specs and more of the QuietComfort 35 IIs. To see how it stacks up, read our list of the best wireless headphones. 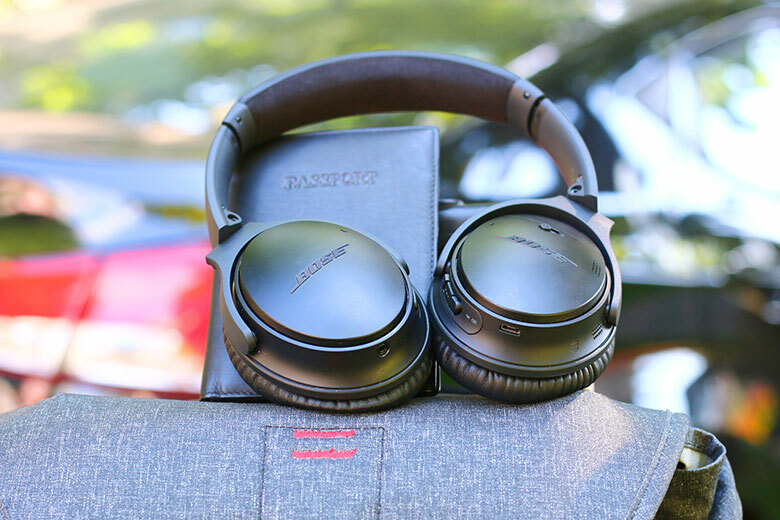 There’s a very good reason why the Bose QuietComfort 35 II headphones - we’ll call them the QC35 IIs from now on - are fantastic for travel, and why they have sold by the truckload. That reason is the noise-canceling technology. We’ll put this as simply as we can: having tested the noise cancelation of several leading headphones, the QC35 IIs are head and shoulders above everything else. They may have additional issues of their own – which we’ll get to shortly – but if you want to block out the outside world, these should be your number one option. For getting on a plane or a train – hell, even a subway or bus – they should be your number-one pick. Noise-canceling works by taking the incoming sound of your environment, and using a process called phase cancelation to get rid of it – or at least, drastically reduce it. We go into this process in a lot more detail here. The canceling tech in QC35 IIs relies on dozens of tiny microphones to get the job done. While it won’t leave you in total silence – it effectively blocks out low pitched sounds, like the rumble of airplane engines – there’s a definite sense that you are cocooned in your own little world. You also have the option to set the cancelation on low, or turn it off entirely, if you’re a crazy person. Its next-best competitor, the Sony WH-1000XM2 - which has a virtually-identical price, at $348 - may have slightly better sound, but the quality of the cancelation in the Bose headphones is on another level. 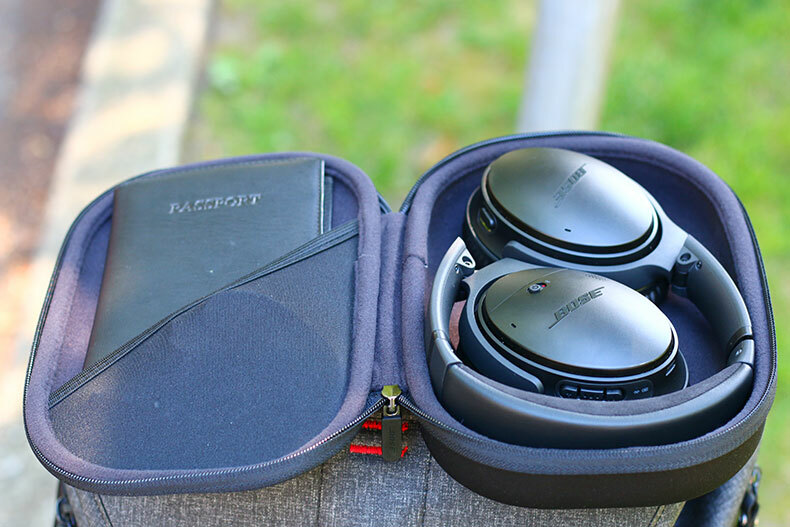 We tested these headphones on multiple flights, as well as plenty of trains and cars, and they performed faultlessly. Engine noise was reduced to a low murmur, while voices and PA announcements were still audible – albeit recessed into the background. The Sony headphones do a valiant job, but they simply don’t have this level of detailed, blanket-like cancelation. It also works even if music isn’t playing, or no device is connected. When we needed to sleep on a 6AM flight to Seattle, this was a dream. If you’re a traveller, you need these as much as you need your passport, and one of those cute travel pillows. Unfortunately, one of the downsides of noise-canceling is that it has a negative effect on the overall sound quality. While Bose make some of the best cancelation hardware on the planet, not even they can fully get past this. It’s most noticeable in the low-end. It’s not that the bass is bad; it’s that it feels a little bit lifeless. You never really get to appreciate the energy and dynamism of a good bassline, and even when the cancelation is turned off, the lows still feel squashed and dull. To be clear: they are still better than many wireless headphones currently available. The aforementioned Sony has the QC35 IIs beaten in this area, but popular options like the Beats Studio3 Wireless are way behind. The Bose headphones may be a touch lifeless, but the Beats sound like they are being piped from another solar system. We’d avoid those, under all circumstances. They may be more expensive than the Bose - $350 to the QC35 II’s $349 - but the enormous drop in quality isn’t worth their price tag. Things improve slightly – but only slightly – when we get into the other aspects of the sound. While these are never going to match the details you might get on some high-end headphones, they managed to deliver reasonably decent highs and mids. Elements like vocals and acoustic guitars felt precise and clear, and despite a very slight extension of the issue we encountered with the muffled bass, we enjoyed the music we were listening to. They are also able to get loud, if that’s your thing, with the drivers delivering some decent volume. The call quality, too, is excellent - you’ll hear absolutely everything, especially with the cancelation turned on. The main problem is: simple enjoyment is fine, but we couldn’t shake the sense that the overall sound quality was a little bit meh. Even taking into account the coloration caused by the noise-canceling tech, we never quite felt that we were getting the most out of our sound. Compare this to something like the Sennheiser PXC 550s, which are a full $50 cheaper than the QC35 IIs, at $299. We would never recommend those headphones, because they are fiddly and annoying, and have multiple issues (as we laid out in our full review), but the one thing they do have is solid sound quality. It’s at least on par with the QC35 IIs, which is frustrating. If you’re going to ask us to spend a full $50 extra, you’ve got to offer improvements in the audio quality as well - not just in the cancelation. Blocking out the outside world is one thing, but filling the resulting void with boring sound is quite another. We still recommend the QC35 IIs as travel headphones, because they do a few things remarkably well, but if you want exciting sound, you can look elsewhere. The Bose Connect, available for both iOS and Android, is your first port of call for getting things going. It handles setup and initial Bluetooth connection flawlessly, with everything packaged in a slick, clean interface. You can control absolutely everything from the app, including whether the action button on the headphones activates Google Assistant, or toggles noise-canceling between high, low, and off. There’s a chance you won’t use it after the initial setup, but as all the controls can be handled from the headphones themselves, this doesn’t matter much. And as apps go, this compares favorably with other leading headphones. It matches up well with the Sony Connect app, as well as slightly more esoteric competitors. 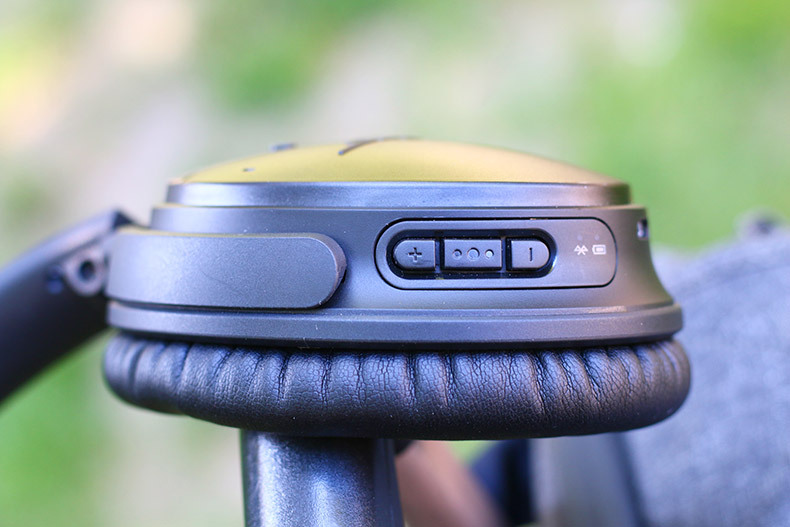 The Parrot Zik 3 headphones (full review here) have one of the best apps we’ve ever tried, and we think the Bose Connect app is even better. The Zik 3s, for one thing, didn’t have Google Assistant. Ours recognized voice without any issues, using the microphone on the QC35 IIs. While we think Google Assistant needs a little bit of work on its own, that’s hardly Bose’s fault, and it’s a useful method of controlling the headphones. The look of these headphones can be summed up in one word: corporate. Most QC35 IIs you see on the heads of commuters will be black, while the really daring listeners going for the silver option. These headphones are as anonymous and dull as an insurance executive in a high-power Volvo. That’s part of the reason they’ve sold so much: by casting off all flash and flare, they work with the style of just about everyone. Sure, it’s effective. But that doesn’t mean we have to like it. Having said that: the ovular cups have become widespread enough to be instantly recognizable, and just because they’re boring doesn’t mean that the design is bad. Far from it. 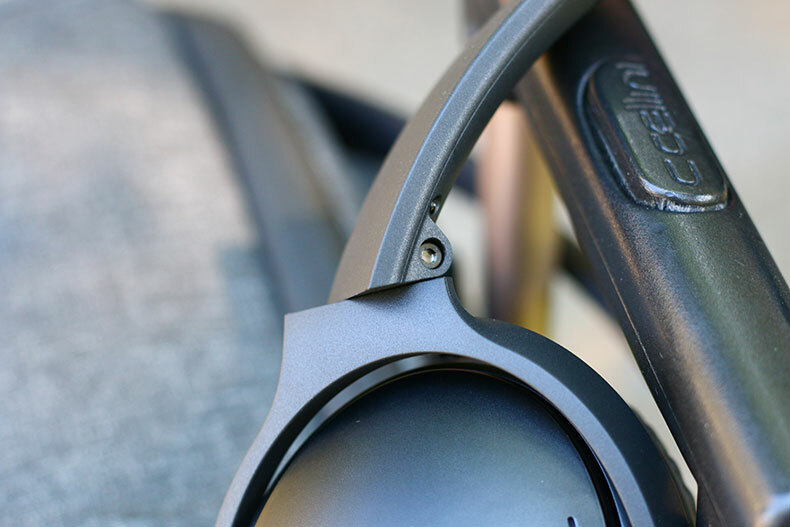 Despite being lightweight, the QC35 IIs are sturdy, and can stand being thrown into a bag and jostled around a bit - we know, because we’ve done this a lot. There’s a pleasing amount of flex to the headband, and the fact that the headphones easily fold up for portability makes a real difference. They don’t have the chic feel of something like the Bowers & Wilkins PX, which are among the best-looking headphones ever, but they certainly get the job done. It’s worth noting that Bose’s Soundlink II headphones, which are over $100 cheaper at $229, have an identical design – minus the noise-canceling, and the relevant button to control it. It’s obviously a look that works, and you can bet that the company will stick with it for the foreseeable future. But we prefer our headphones to be a little bit less anonymous, and we really couldn’t shake the feeling that these headphones made us invisible. 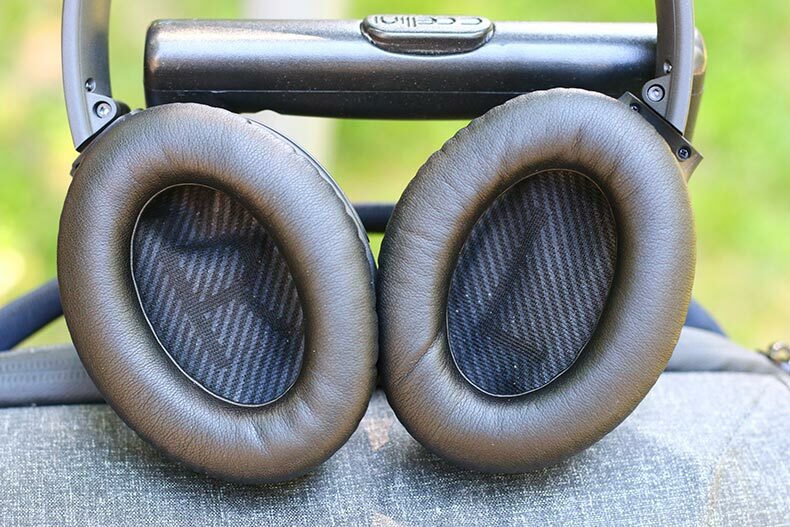 And on that note, the differences between these and the original Quietcomfort 35s are equally minimal. Realistically, the main improvement is the addition of Google Assistant. The design, noise-canceling, and sound signature are the same - so it’s entirely conceivable that you could just buy the originals and save some cash. They’re currently available for $329, $20 less than the QC35 IIs. You’ll struggle to find them though – we’ve seen their availability on Amazon fluctuate – and the QC35 IIs are more widely available. Our opinion is that it isn’t worth the hassle. The IIs aren’t that much more expensive, and it’s not worth your time to hunt down the previous version. We’ve already mentioned you can handle everything you need with the app, but it helps that the controls on the QC35 IIs are sensible and well-laid-out. The main feature is on the left ear cup: a big action button that’s easy to find with a thumb. You can use the app to toggle its function between the Assistant and noise-canceling, helped along by a disembodied voice that tells you what you just selected. On the right cup, there’s a set of equally solid controls, which are intuitive and simple to use. You’ll be up and running within moments. 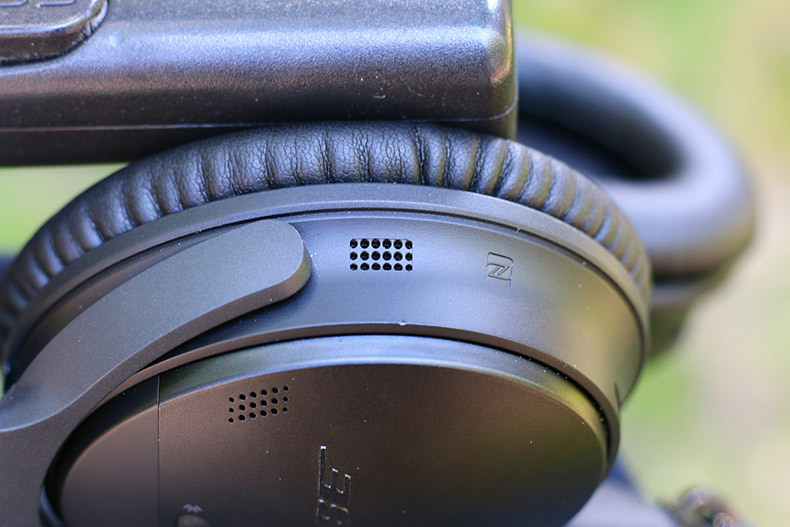 Compare that to our experience with the aforementioned Sennheiser PXC 550s, which made us want to snap them in two. Battery life was good, too. While we didn’t get to the advertised twenty hours, we got close, averaging eighteen hours at moderate volume. That matches up very well with other headphones on the market. Your pair of standard Apple AirPods, for example, don’t have noise-canceling, and only manage about five hours more battery. It’s a very good look for Bose, and it helps that the slightly creepy voice informs you how much battery you have left when you turn the headphones on. The great noise-canceling would mean jack if the headphones weren’t comfortable to wear for long periods. Fortunately, that’s another thing Bose absolutely nailed. We will talk about the earcups momentarily, but special mention needs to go to the headband. It’s not only flexible, but has a plush underside, and it fits over the top of the skull beautifully. It’s very reminiscent of the microvelour you find on far more expensive headphones, like the $599 Beyerdynamic Amiron Home (full review here). For reference, those are the most comfortable headphones we’ve ever tried. It really helps that the headphones are lightweight – a mere 8.5 ounces. That’s lighter than the aforementioned Sony WH-1000XM2, and significantly lighter than much more expensive headphones - like the otherwise superb Bowers & Wilkins PX, which are $50 more expensive than the QC35 IIs, at $400. 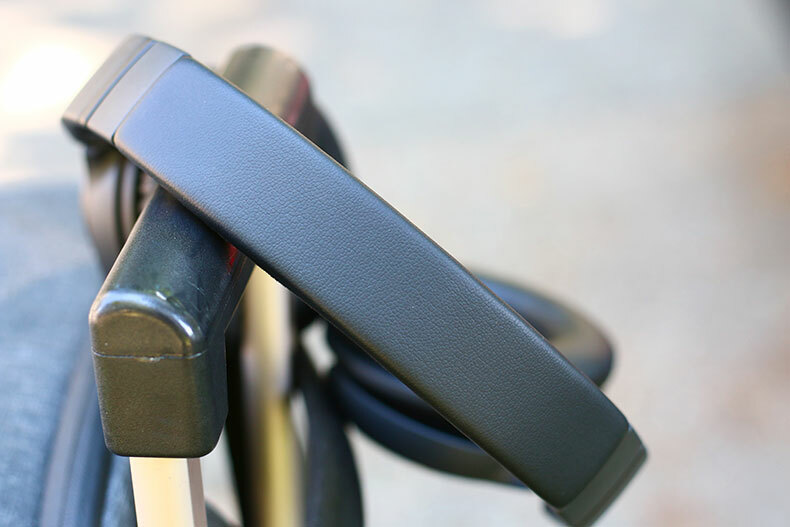 The soft leather earpads make a real difference, too, isolating the ear perfectly without pinching or squeezing. Wearing these for hours at a time is a total breeze. 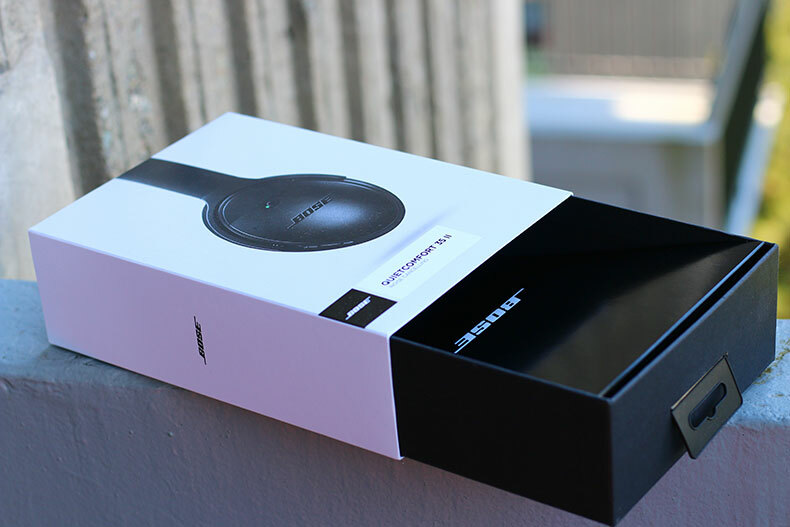 The packaging is as anonymous as the design: a cardboard box that can be disposed of the moment you remove the headphones. Outside of a few standard cables, like a USB charging cord and an Aux cable - for wired listening when you don’t have battery life - the most prominent accessory here is the case. It’s a hard, zippered clamshell that opens up completely, allowing the headphones to slot right in, as long as they are folded up. 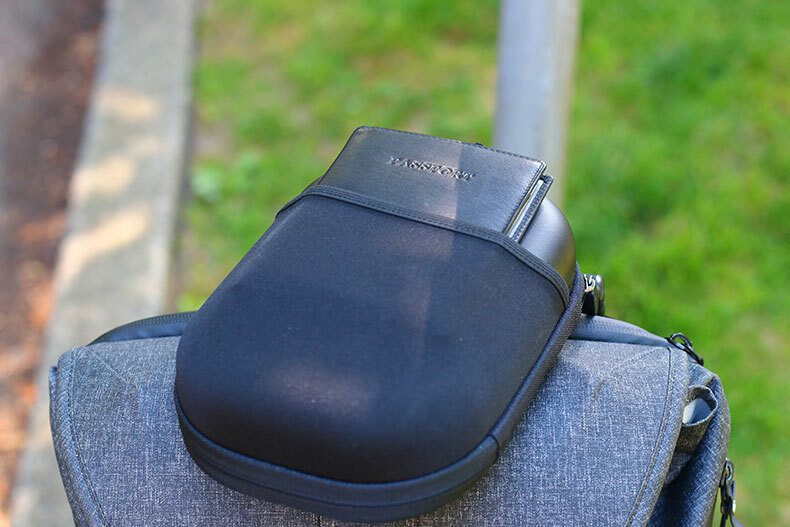 There are capacious pouches, not only on the inside of the case, but on the backside, meaning it’s ideal for stashing things like passports. 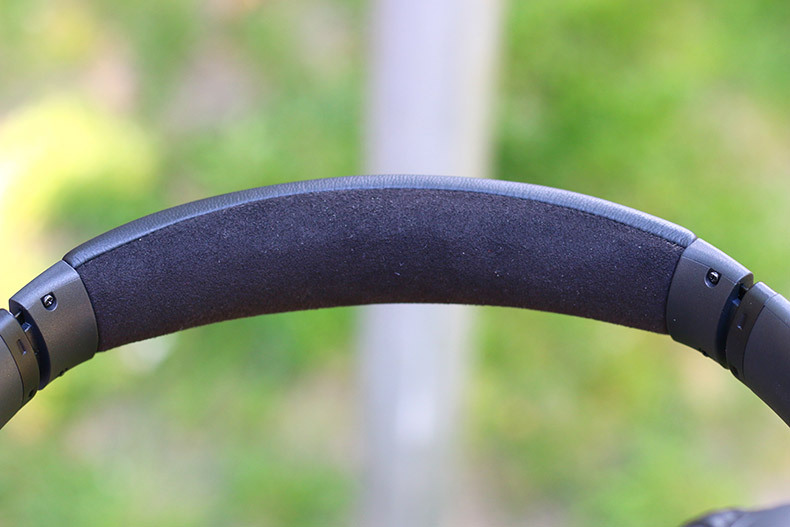 It’s not going to match up to the case found on another excellent wireless headphone, the Nuraphone (full review here) - which is one of the best we’ve tried - but it’s certainly very good. The QC35 IIs also beat the Nuraphone in key areas like comfort and cancelation. 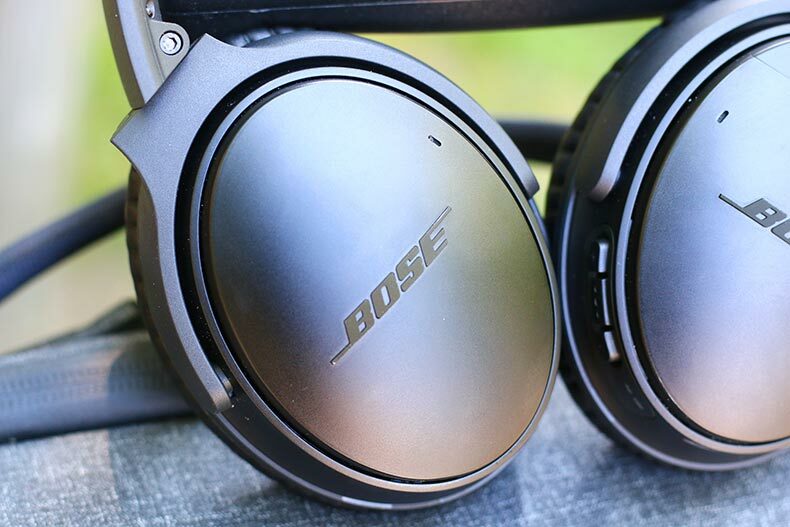 The Bose QuietComfort 35 II have the best noise-canceling technology we’ve ever come across. No exaggeration. The functionality and ease-of-use are top notch, and the headphones are simple to understand. 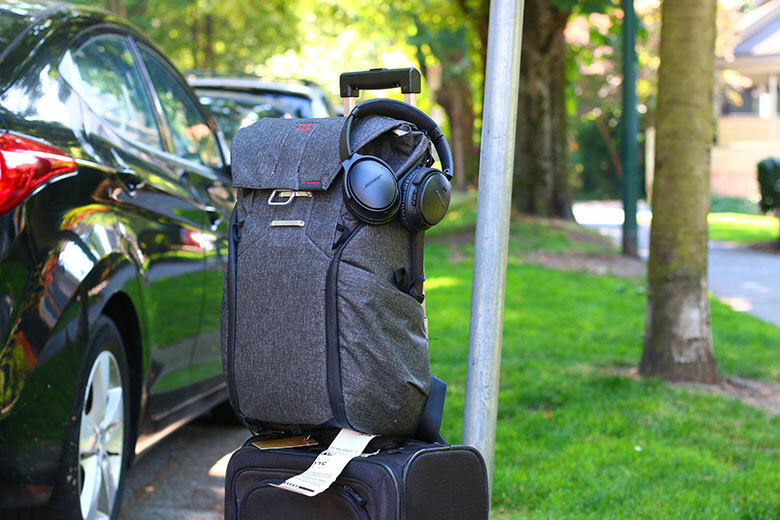 The QC35 IIs are very comfortable, and easy to wear for long periods – perfect for travel. The sound quality of the QC35 IIs is middling, with significant issues caused by the cancelation tech. The design of the headphones is dull. If you don’t use Google Assistant, half the functionality of the headphones will be lost on you. The wireless headphone market is crazy crowded, especially among cans that offer noise-canceling. The Sony WH-1000XM2 are currently the most direct competitor of the QC35 II. 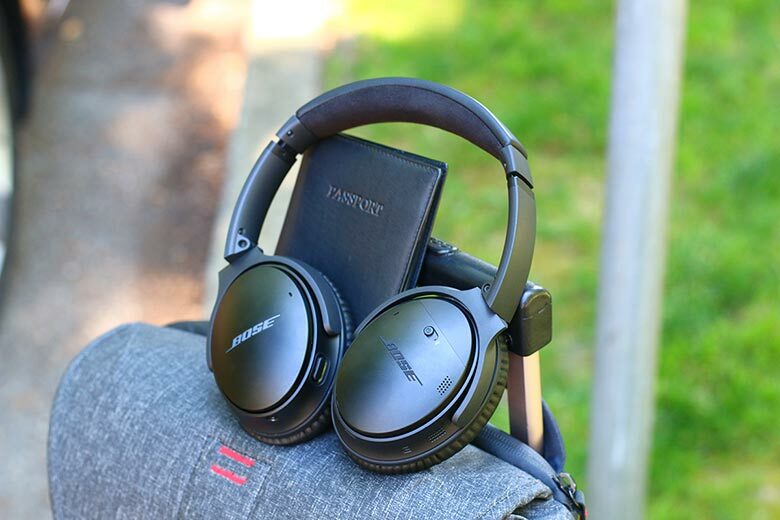 The noise-canceling isn’t quite as good – it doesn’t feel like it blocks out as much sound, or isolate as effectively – but what it does have is fantastic audio quality. Sony are really good at this, and the 40mm drivers manage to deliver excellent bass and clear, crystal highs, as well as a decent soundstage. If you want a pair of headphones that offer cancelation tech, but you won’t be travelling quite as much, then these are the ones to go for. They are almost the same price as the Bose, at $348. The Bose headphones aren’t the only bestsellers out there. You’ll see plenty of Beats Studio3 Wireless on any street you walk down these days, and you should really pity the people wearing them. That’s because the Studio3s are bad. Insultingly bad. The noise-canceling is OK - not Bose quality, but not terrible - and yet the audio quality is appalling, with muffled bass and curiously wonky mids that will make your eyes twitch. 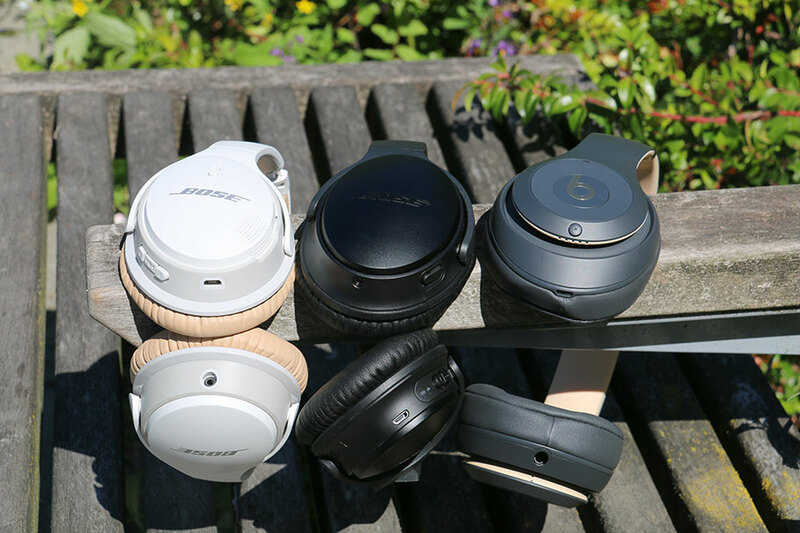 The nasty plastic frame and the flimsy build quality don’t hold a candle to the Bose headphones, which we think do a better job all-round. Don’t let their attractive $350 price tag (the Bose cost $349) fool you. The Beats are legitimately awful. Another competitor: the Sennheiser PXC 550. The things we loved about them were the decent sound quality, the nifty feature whereby you turn the cups 90° to switch the headphones on or off, and the attractive price - just under $300 at the time of writing. Things we didn’t love so much were the mangled controls, and the drab design. 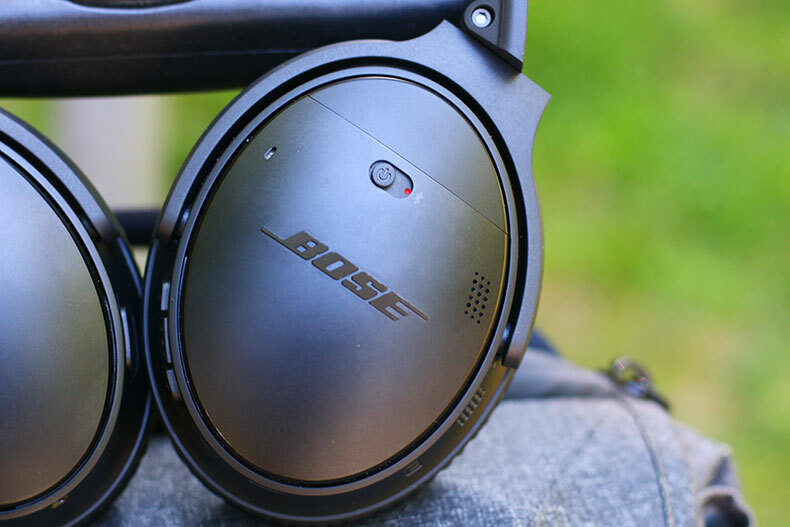 Compared to the Bose directly, they do a reasonable job – the cancelation is solid - but they are definitely not as easy-to-use, or as pleasurable. Our take? Unless you’re trying to save money, go for the Bose. Sennheiser makes some world-beating headphones, but these are not among them. 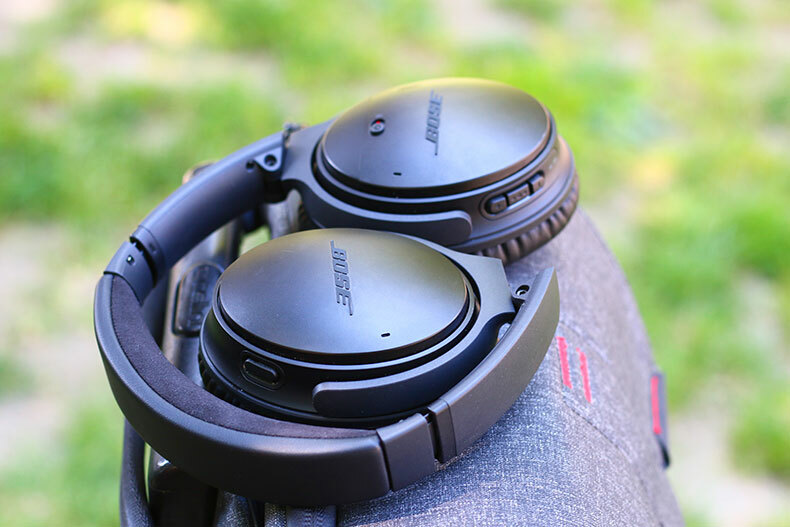 If you want to experience the Bose design and comfort, but don’t feel like paying through the ear (so to speak) for noise-canceling, then your first port of call should be their Soundlink II headphones. The design is identical: so much so that it’s actually quite hard to tell them apart unless you’re close. The sound signature is the same, as is much of the functionality. They’re also cheaper - at $229 compared to the QC35 II’s $349 - so they’re certainly an attractive option.